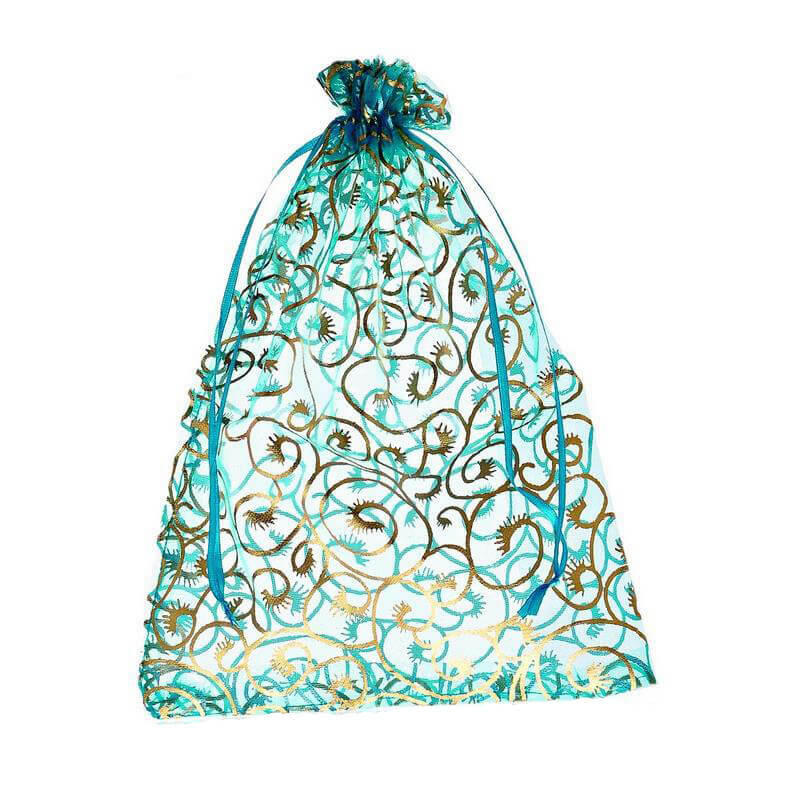 Teal Swirl Organza Bag - Extra Large 17cm wide x 23cm high. Looking to buy a gift and have it delivered in style? Add this beautiful organza gift bag to your cart and we'll glady pop your purchase in it and ensure the recipient is pleasantly surprised and suitably impressed.